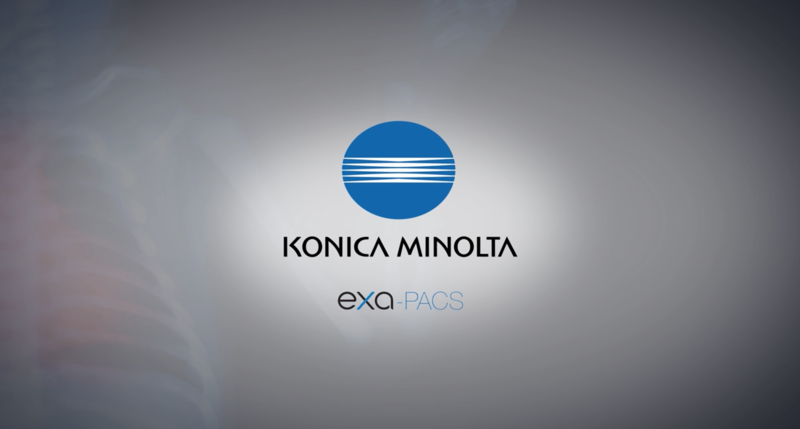 Exa® PACS | Konica Minolta Healthcare Americas, Inc.
As technology continues to evolve and mature, we have worked to keep our PACS on the forefront of Healthcare IT advancements. 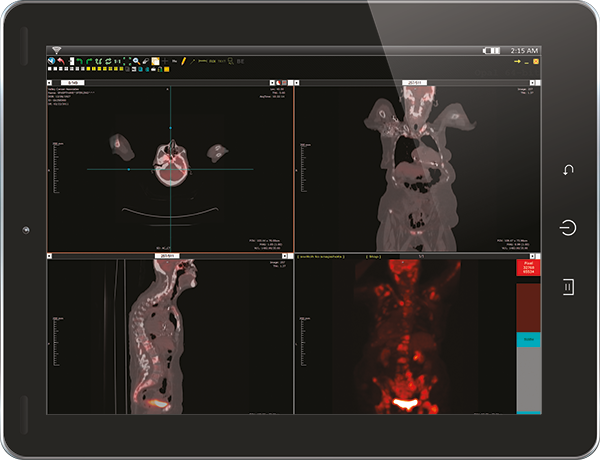 We have deployed an entirely web-based, zero-footprint, radiology software platform far superior to other PACS systems available on the market. Exa® was designed to provide never before seen speed and workflow efficiency with the most advanced features and tool-sets available. 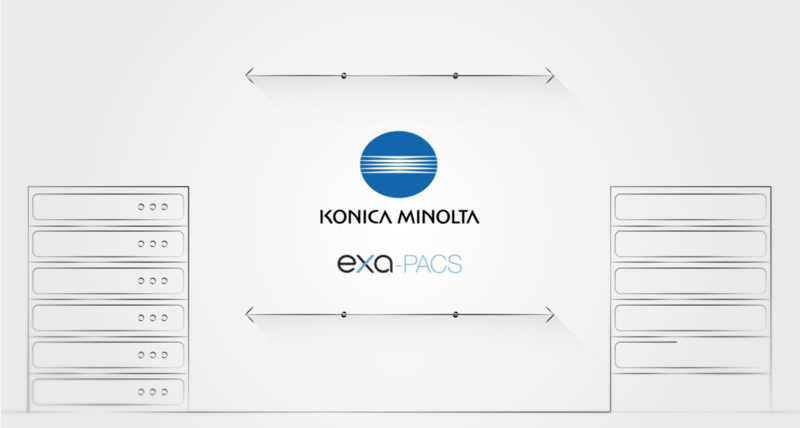 All prior PACS were forced to sacrifice speed or functionality, but Exa delivers both. Exa’s Zero Footprint (ZFP) viewer offers full diagnostic toolsets and viewing capabilities from any computer. ZFP allows for immediate viewing on any consumer grade PC with no downloads, plugins or installations necessary. With no prefetching of exams required, and the ability to work on any operating system, Exa offers incredible speed benefits with Server-Side Rendering technology. *Mammography images should only be viewed with a monitor approved by the FDA for viewing mammographic images. For primary diagnosis, post process DICOM “for presentation” images must be used. The Exa platform’s Server-Side Rendering means the server is doing all the work instead of each individual workstation. DICOM data does not need to transmit to each workstation because it is all done at the server. PET, Mammo and large volume CT exams open immediately. There is no prefetching required and this results in fast access regardless of the internet connection. You can now immediately receive all relevant data that is desired by the physician, rather than prefetching all data and slowing connection speeds. Server-Side Rendering enables system speed regardless of the larger file sizes from newer acquisition modalities. Server-Side Rendering also helps reduce the workstation hardware technical requirements, because the server is taking on the workload of image rendering. This will extend the performance of existing PCs. Exa’s Zero Footprint (ZFP) viewer offers full diagnostic toolsets and viewing capabilities from any computer, tablet or smartphone. ZFP allows for immediate viewing on any consumer grade PC with no downloads, plugins or installations necessary. 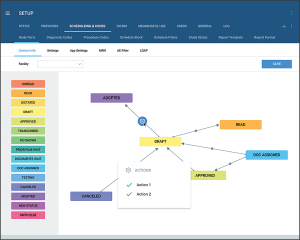 The Exa platform has an extremely configurable dashboard, giving each user the ability to maximize efficiency. Dashboard charts are customizable to show real-time data and overall performance summaries. Track performance metrics and workload live with an easy-to-read dashboard. Track information such as daily exam volume, radiologist performance, and which referring physicians are ordering the most profitable exams. The order of operations for an imaging study can vary drastically from business to business. Build your workflow based on your facility needs. 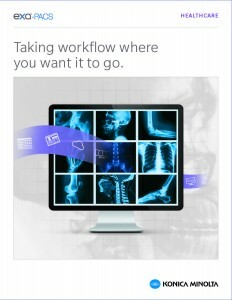 Choose from the drag and drop status options to design your preferred imaging workflow. The ability to define the entire process step-by-step allows for the most efficient and productive procedure. The truly advanced functionality of the Exa PACS platform allows for easy dictation integration with any smartphone. Open a patient study at your computer and the Exa mobile platform will sync and automatically attach the dictation from your smartphone to that same patient’s file. This eliminates the need to search through your phone for the corresponding study in order to dictate. This also eliminates the need to carry a specific USB microphone with you to each reading station. 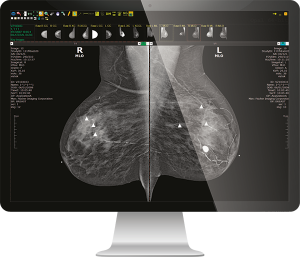 Separate dedicated workstations are no longer necessary to view PET and digital mammography exams. MPR and MIP capabilities including full measurement tools are available to users via Exa. Referring physicians need not worry about workstation compatibility. Exa works on any existing computer or operating system. It is also accessible from any tablet or smartphone device for viewing.